The upcoming Heyworth History Club program is set for Tuesday, November 17 at 6 p.m. We have invited our local FFA teacher, Jestin Nutter, to share his hobby of Native American Indian Artifact collecting from in and around central IL. He will share how he got started and some of his collection. We invite anyone in the community to come learn about this hobby and his collection. If you have any items found from the Randolph Township area, please bring them in to display and share for the evening. Please RSVP at the library or call 473-2313 so we can have the community room set up with enough chairs, coffee, and treats. Thank you to the Randolph Township Fire Department for another wonderful parade for our community and to our fabulous Hey Hi Marching Band. Great job Mrs. Rackauskas! We enjoyed seeing all the costumed children that visited the library and seeing their faces as they chose a book to go home with. We had over 50 costumed visitors and many new library cards made for these families. Veteran’s Day, Wednesday, November 11 we will be open regular hours, 10 a.m. – 5 p.m. We will offer free coffee or hot cocoa to all veterans visiting the library as they pursue their freedom to read on 11/11. Thank a veteran today for ALL the freedoms we enjoy. We look forward to a new series of children’s books coming out in December that honor and describe our nation’s military. We are gearing up for our Winter READ 2016! Do you have any items to donate for prizes for our children, teens, or adult readers? Our theme this year is Read a Latte, a highly caffeinated adventure to keep us warm in February and March. Our version of Blind Date with a Book will return in March as well. Heyworth Knitters and Crafters, 1st and 3rd Mondays of each month, 6:30 p.m. -7:30 p.m.
We are thrilled to offer crafters a space to create and socialize! This group is very willing to teach anyone who would like to learn to knit or crochet. We have yarn, instructions for beginning projects, and needles to get you started on a new hobby. If you want to learn how to knit or crochet you must sign up to attend, so our group can have all you need ready for the evening. If you are a knitter or a crafter looking to socialize with others in our area, just show up as your schedule allows. Available to anyone 4th grade and up. After School Movies, 3:20 p.m. every Friday the library is open. Bring a friend and your own snack! All drinks need to have a screw-on cap – no juice pouches or cans, please. Wednesday we will be open to honor our Veterans. Free coffee to all veterans that want to visit the library and pursue their freedom to read. Thank a veteran today for all the freedoms we enjoy. Monday Evening Book Club, The Predictions by Bianca Zander, 4th Mondays at 6:30 p.m.
We are always seeking new people to join us! Give us a try. We have a friendly talkative bunch. It’s a great way to meet new people in town. Books in regular and large print available, as well as audiobook, at the library for checkout, stop in and get yours today. Would you like to start your own book club with a group of friends? We can help with book selection, and loaning books needed for your group. Start a book club in your neighborhood today! Stop by and ask for details. Lego Block Party, 4th Tuesday of each month at 3:30 p.m.
We will meet on the 3rd Tuesday in November and December due to holidays. Afterschool snack, Lego games, and creative building. Sign up at the library. 1st grade – 8th grade. Collecting American Indian Artifacts in Central IL by Jestin Nutter at 6 p.m. in the Community Room. Join us for a presentation by Jestin Nutter, FFA Instructor at Heyworth High School, as he shares his family hobby. If you are a collector and can bring in a small sampling of your American Indian artifacts from Central IL, please feel free to do so. 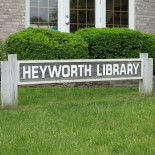 Heyworth History Club, “History in Your Own Backyard” Winter Series, 6 p.m. – 8 p.m., RSVP by November 16. Usually 4th Wednesday mornings at 10:30 a.m.
All are welcome to join us in collecting and preserving Randolph Township history. If you are interested, but can’t make a morning meeting, please let Beth Porter or Lona Soice know your interest and evenings available. The Community Angel Tree will arrive to benefit local families in need. Collections will be made through December 11. 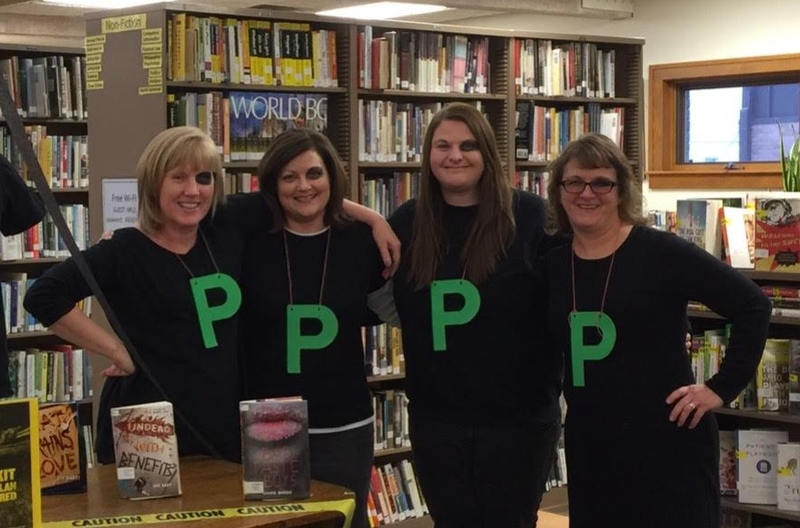 This entry was posted on November 4, 2015 by Heyworth Public Library District.